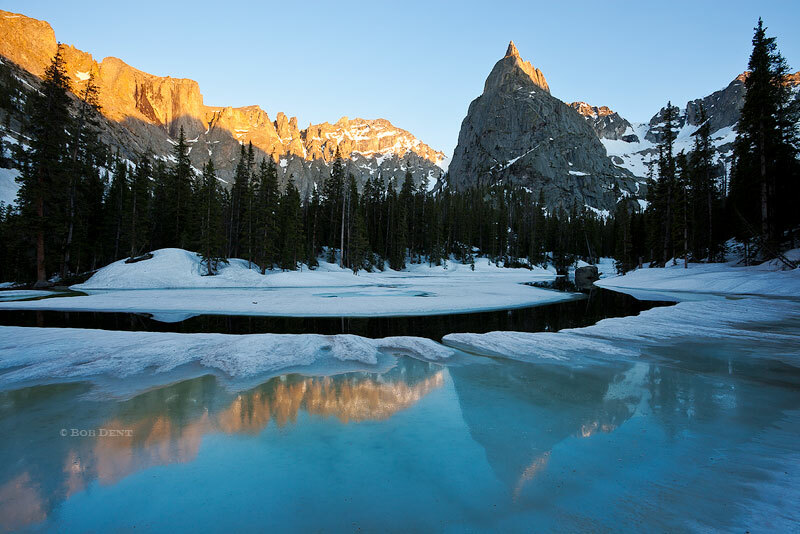 Mirror Lake in the Indian Peaks Wilderness has long been on my list of places to visit. 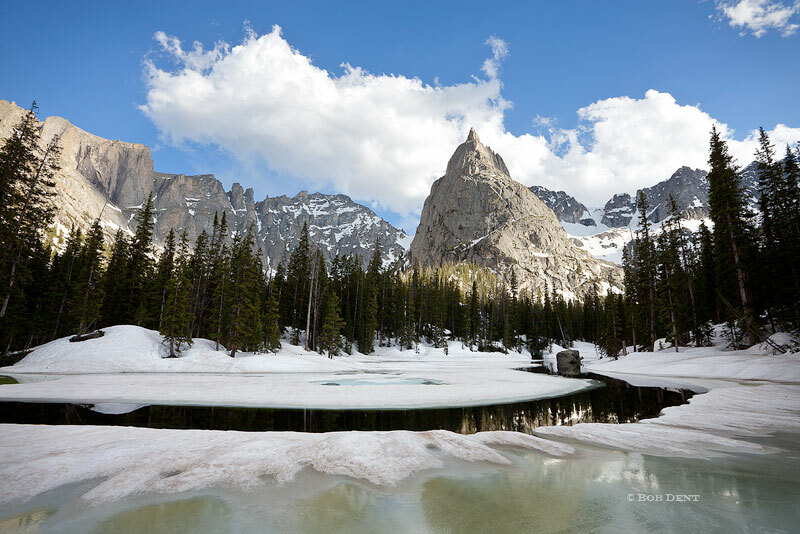 With Lone Eagle Peak towering above, the view is spectacular. I had planned this visit for a little earlier in the spring season so as to still have some snow on the peaks. 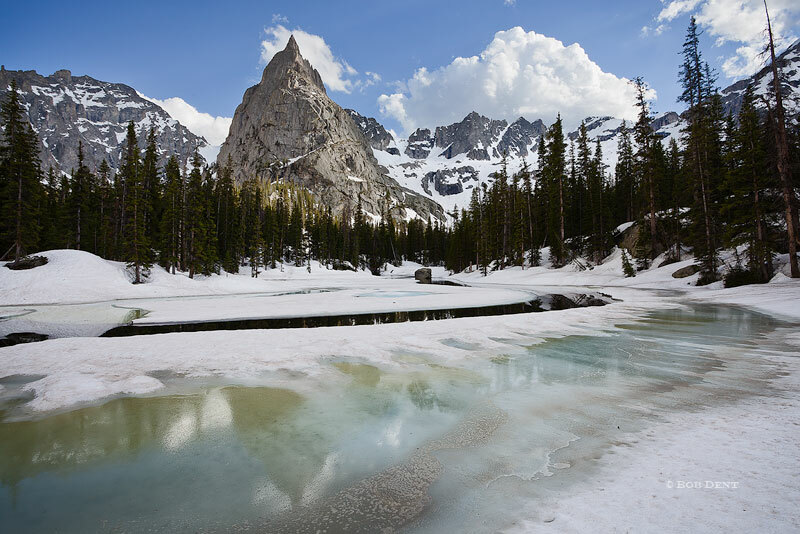 However, with all the snowfall we've had this year in Colorado, even the lake was barely beginning to thaw out. Although a little disappointed by this at first, I soon realized that it made for some unique conditions. 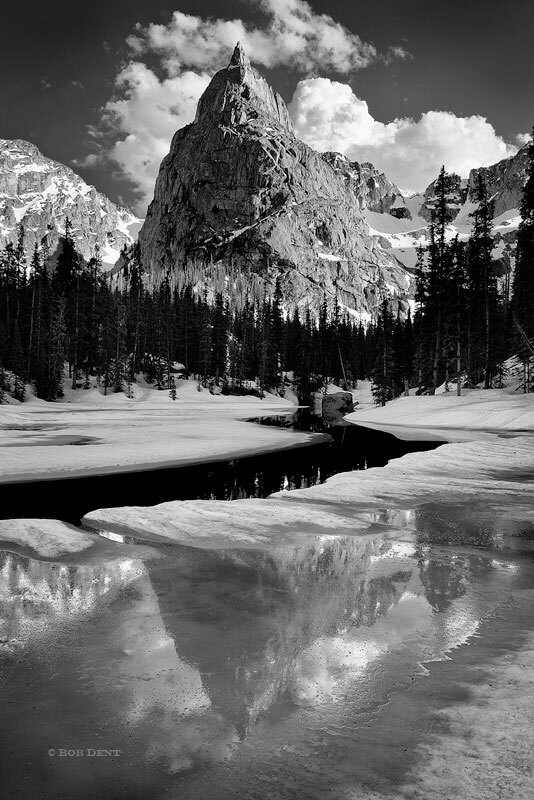 These photographs, with the peaks reflecting in melting ice, are unlike any I've seen before from here. These images are my favorites from a quiet evening spent in this beautiful place. Evening clouds building over Lone Eagle Peak, Indian Peaks Wilderness, Colorado. Photo © copyright by Bob Dent. Alpenglow touches the tip of Lone Eagle Peak, Indian Peaks Wilderness, Colorado. Photo © copyright by Bob Dent.